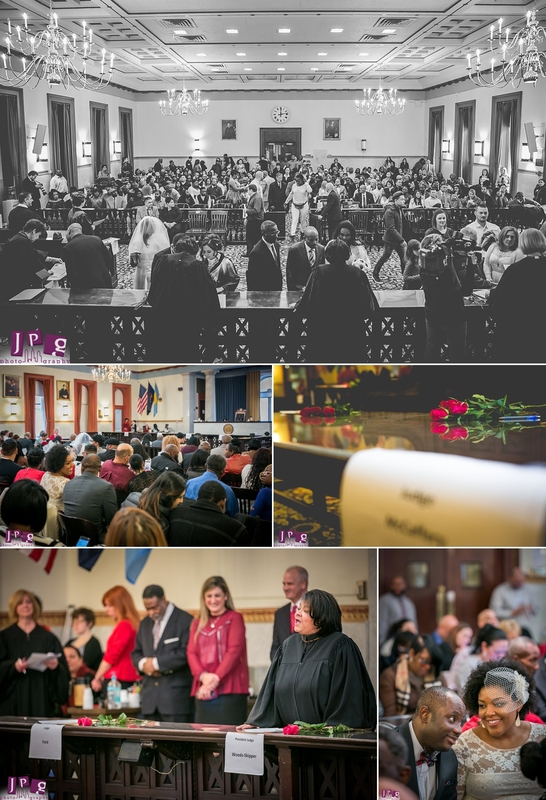 Love with just a touch of pandemonium was in the air at Philadelphia’s annual mass Valentine’s Day City Hall wedding ceremony. A huge courtroom, 11 judges, 47 couples, and less than one hour to get everyone hitched surrounded our beautiful couple, Nicole and Mike. 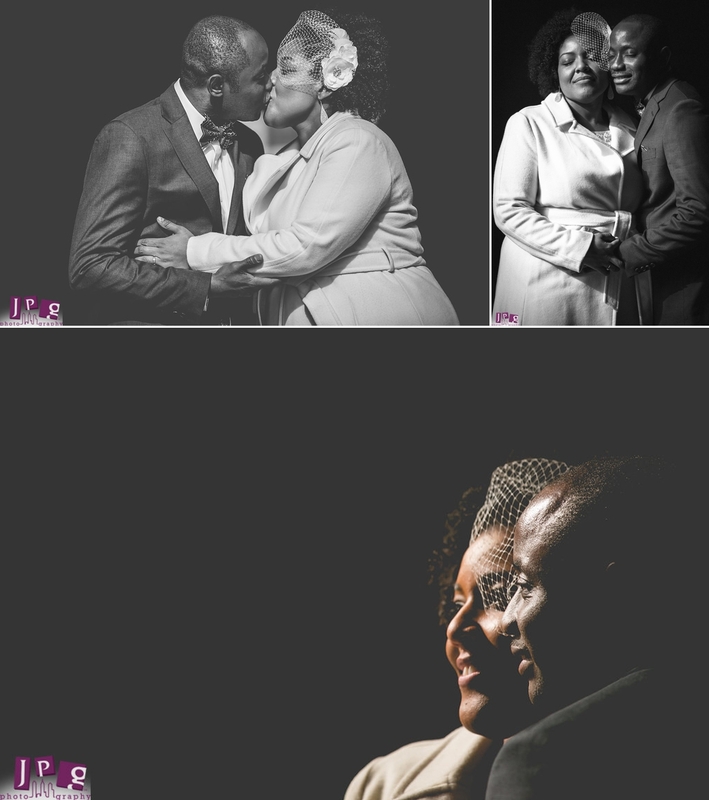 Even with 12 years of wedding photography experience, JPG had not seen this before! It’s not often that a bride and groom exchange vows as a couple to their left shares their first kiss, and a couple to their right receives their marriage license. 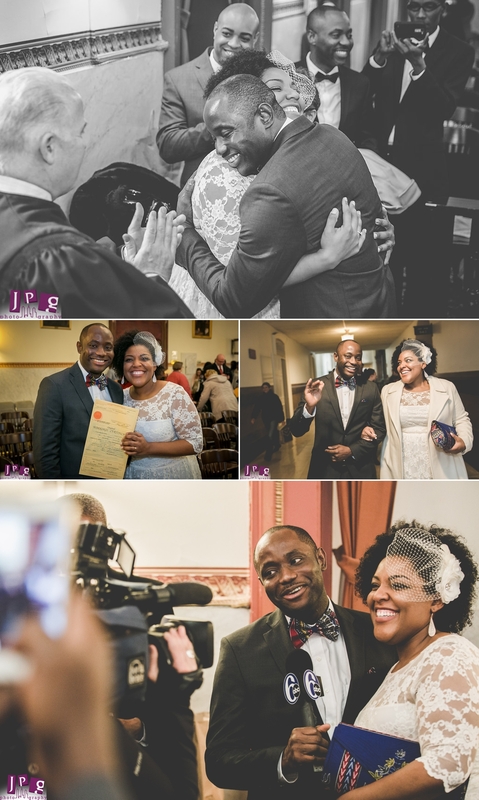 Each couple shared their big moment with dozens of others in an atmosphere filled with joy and excitement. Philadelphia judges must sign up in advance to officiate the marriages, and the list always fills up quickly, we were told as it’s the best day to be a judge. “A lot of what we do is serious and takes a lot of weight whether people think that or not, but this is the ultimate joy of being a judge,” said Honorable Vincent Melchiorre, in a 6ABC News Story. 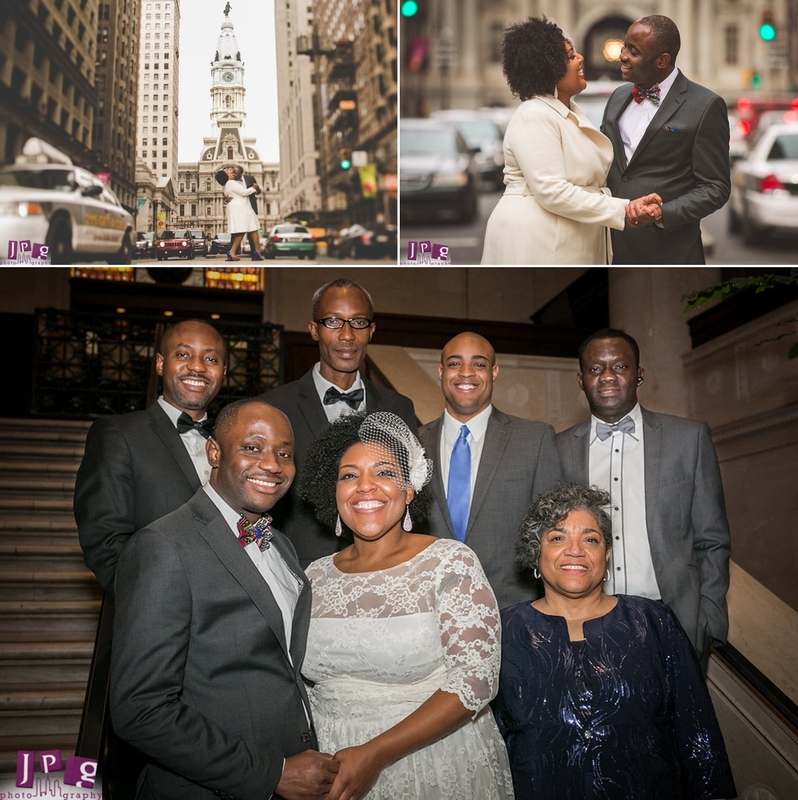 The excitement didn’t end with Nicole and Michael’s “I do.” A 6ABC News reporter extended our couple’s I-Do’s by interviewing just seconds after their kiss. Despite the time pressure, the judges were kind and accommodating. They were happy to take photos with the couples. 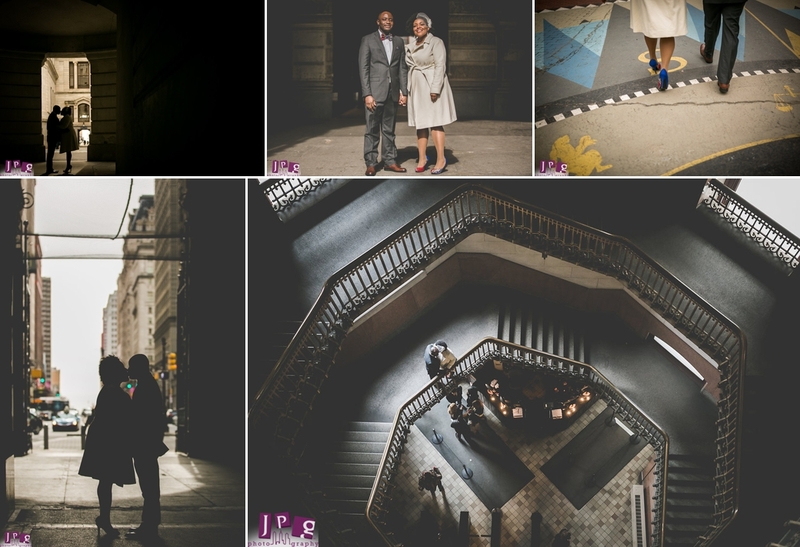 After finishing in the court room, we utilized City Hall’s iconic architecture to compose a few frames before heading outside. Valentine’s Day happened to be one of the coldest days of the year, but it didn’t stop us from taking beautiful images of Nicole and Michael. We braved the elements, and made some great photos on Broad Street and around City Hall. The final stop was Del Frisco’s Steak House, where six of Nicole and Michael’s family joined them for a cozy celebratory luncheon. 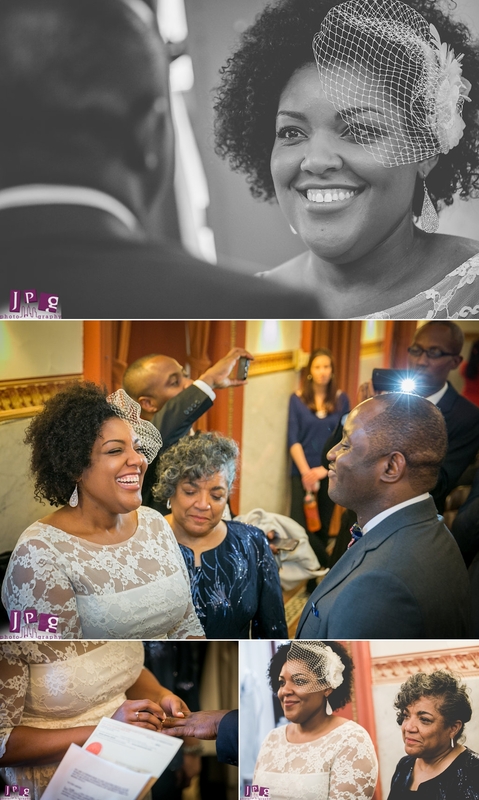 We are looking forward to their upcoming blessing ceremony and reception, where JPG has been invited to photograph them again. 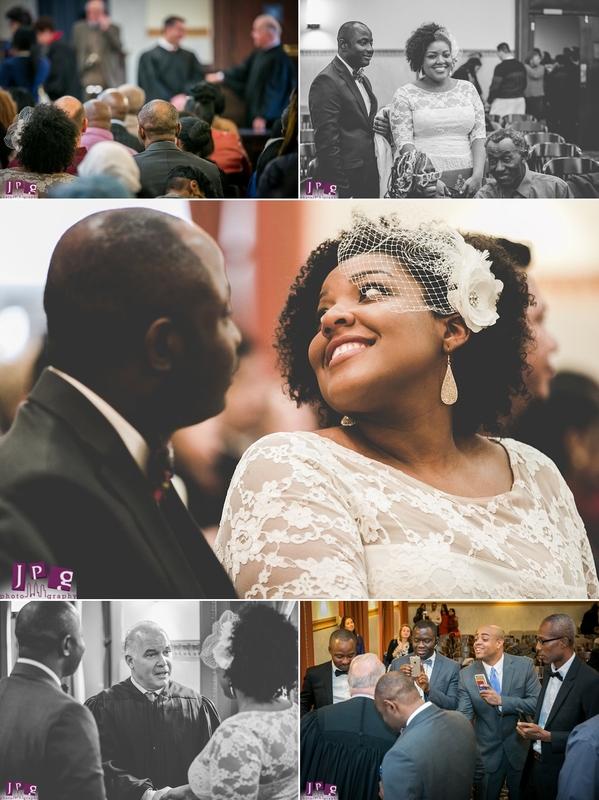 We embrace this intimacy, as well as all types of weddings: big, small, quirky, and even 47 marriages happening simultaneously. We hope to shoot more events that surprise, excite and keep us motivated to capture all that is new and fresh. Do you have an event coming up? We’d love to share it with inspired perspective. Congratulations to Nicole and Michael!